This is Part One of a two-part IELTS Academic Writing Task 2 tutorial. 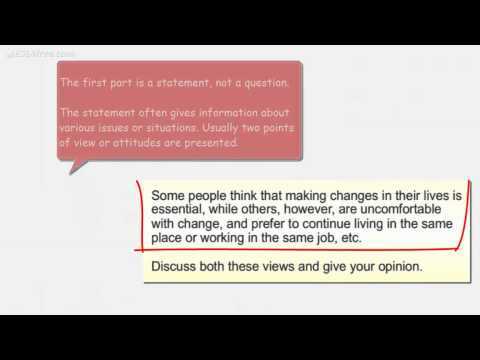 In this part ESL4free.com will look at understanding the Writing Task on "People and Change". Part Two provides two writing models for the task. Видео IELTS Writing Academic Task 2 (Essay) : Understanding the Task (People and Change) будет очень полезно в самостоятельном изучении английского языка.